Overhead cam board track racer. 61 cubic inch, 45 degree V-twin, single speed, no brakes. 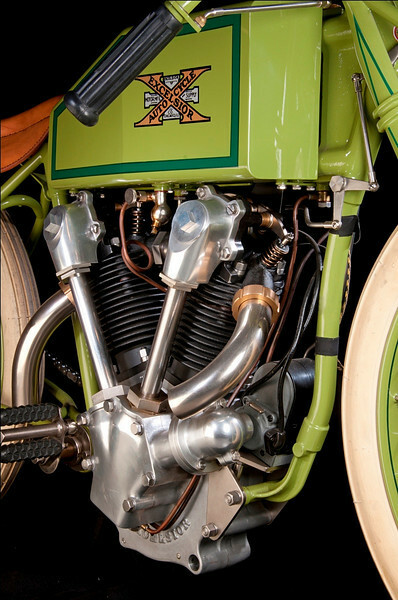 The engine is a beautiful replica built by Mr. Paul Brodie who worked from period photographs.